Want to build your reputation as a talk show interview darling? Listen as radio talk show expert, Bernadette Duncan shares how best to work with radio talk show interview producers. 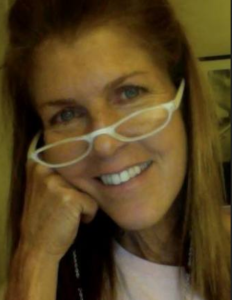 Bernadette Duncan spent twenty-six years as a radio talk show producer. 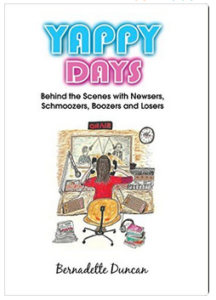 In her newly released book, “Yappy Days: Behind the Scenes with Newsers, Schmoozers, Boozers, and Losers”, she vividly recounts her adventures in the trenches of big time talk radio during its most important, dynamic decades. Bernadette writes interesting details about hundreds of names from the high profile hosts for whom she works, such as Larry King, Sally Jessy Raphael, Lou Dobbs, Charles Osgood, and Tom Snyder, to the non-stop parade of famous celebrity and news maker guests she booked, and in many cases, babysat along the way. During her career in radio she worked for such companies as ABC, CBS, NBC, Fox and many more. Also a professional writer, her articles have appeared in the Los Angeles Times, New York Daily News, Cosmopolitan and Seventeen. Q: When an author wants to get onto radio talk shows, are you the first stop? A: I would say that there’s no one answer. I would say, just realistically, it’s like getting a job. There’s no real one answer, though the producer is usually the gatekeeper. I would say that most producers are opening the mail for the host, but because I’m a producer I can tell you, we schmooze. So if you can tap into your inner schmooze, I have a chapter in this book about schmoozing and how important it is to develop that kind of personality, and just be able to converse with somebody and not necessarily be kind of a killer personality, but rather personable. Because kind or friendly or dropping off a card, developing a relationship even on Facebook with somebody is slow, but it might work to be a schmoozer. Q: What is the best way to make the initial contact? Would it e-mail, would it be over the phone, would it be through Facebook or even LinkedIn, or what did you prefer as the first contact?